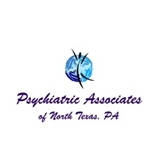 Psychiatric Associates of North Texas, PA (Frisco) - Book Appointment Online! Dr. Shakil is a UT Southwestern educated psychiatrist who helps people that are experiencing arduous circumstances live their most meaningful life. She provides comprehensive psychiatric evaluations and treats all psychiatric disorders including, schizophrenia, eating disorders, anxiety, depression, women’s reproductive issues across the lifespan, ADHD, bipolar disorder, addictions and OCD. She is committed to serving her community. Dr. Shakil has over 10 years of experience in the field of Psychiatry. She is Dual Board Certified by American Board of Psychiatry and Neurology in Adult as well as Geriatric Psychiatry. She treated our Soldiers and Veterans while working for Dallas VA Medical Center. She was Assistant Professor at UT Southwestern Medical School in Dallas. Dr. Shakil is accepting new patients. Appointments can also be made by calling her office at (214) 618-2225. Nice office, seems to be a good doctor.